performance with superior quality you can trust. Intelligence inside for automated fabrication. Our flagship range of new CNC synchronised hydraulic press brakes are standard with 4 axes (Y1,Y2,X,R), full colour, fully featured CNC control, synchronised hydraulics and highly accurate multi-axis servo driven backstops to maximise productivity and flexibility. State of the art components, tooling and a European build quality make this press brake the ultimate solution for high volume, high mix bending for your fabrication works. 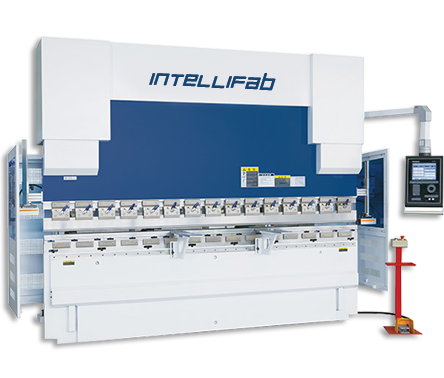 When designing the IntelliFab CNC press brake, we started with the goal of achieving the highest performance 4 - 6 axis CNC hydraulic press brake, at a reasonable cost. Feedback gathered from our clients pointed us in the direction of European build quality, a mix of features and components that delivered a very high level of performance and value for money. 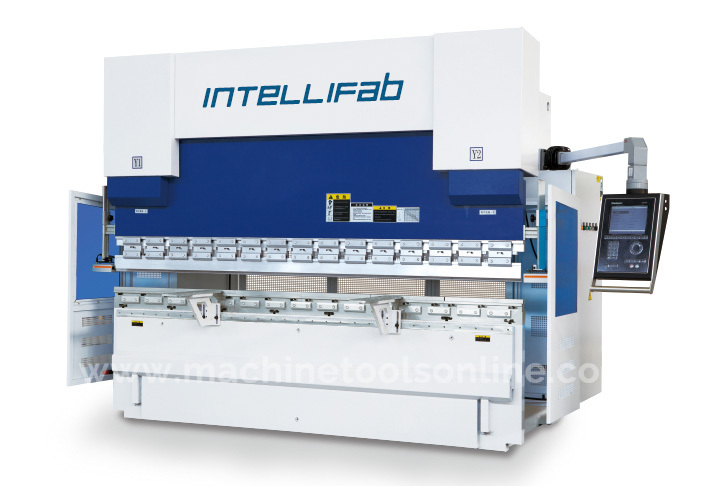 The result is the IntelliFab Synchronised Hydraulic CNC Press brake - our highest performing press brake with the right quality, at the right price. Premium 'Made for Europe' build quality. Premium components throughout - hydraulics, pump, electrics, motor, cylinders, control, backstop fingers and tooling are all selected for the highest performance and reliability with most spares readily available in South Africa. Intelligent approach to the operator’s needs, with a fully featured full colour CNC control with up to 6 axes, fast, accurate multi-axis backstop, adjustable width and height front support arms on linear guides, quick release Z axis and servo motor R axis height adjustable fingers, full height side and rear safety guards and more. 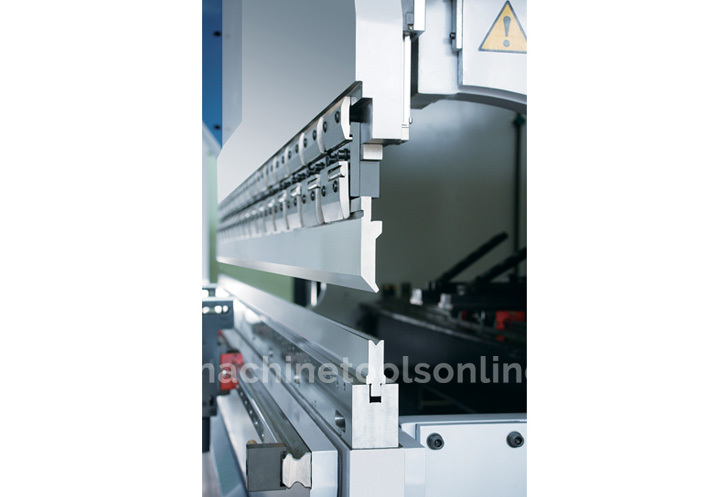 CNC controlled fully dynamic hydraulic crowning for accurate full length bends, every time. Available in bed sizes from 1500mm to 6000mm and Tandem. Control: Delem DA 56S (4 axis) or Delem DA 66T (6 axis) controls with bright displays, 3D visualisation, bend sequencing, impact detection, developed length calculation, tool/material/product library, network connectivity and much more. Fingers: Quick release Z axis, flip up, multi-level backgauge fingers with servo drive R axis height adjustment. 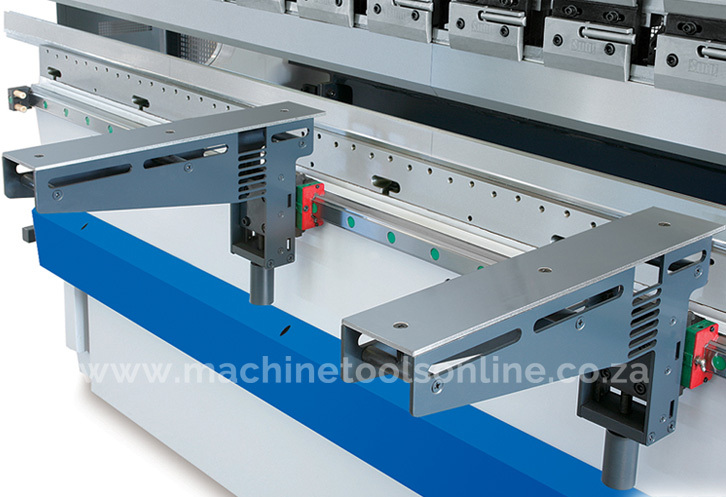 Workpiece support: Quick release adjustable left, right, up and down front support arms on linear guides. Parallelism: Synchronised hydraulic cylinders with high resolution Heidenhein scales. Crowning: CNC controlled, fully dynamic crowning. Safety tools: Optional AKAS/LaserSafe systems.